It's November first...you know what that means. Christmas everywhere!! I figured I'd go with the flow and get into the holiday spirit with today's post. 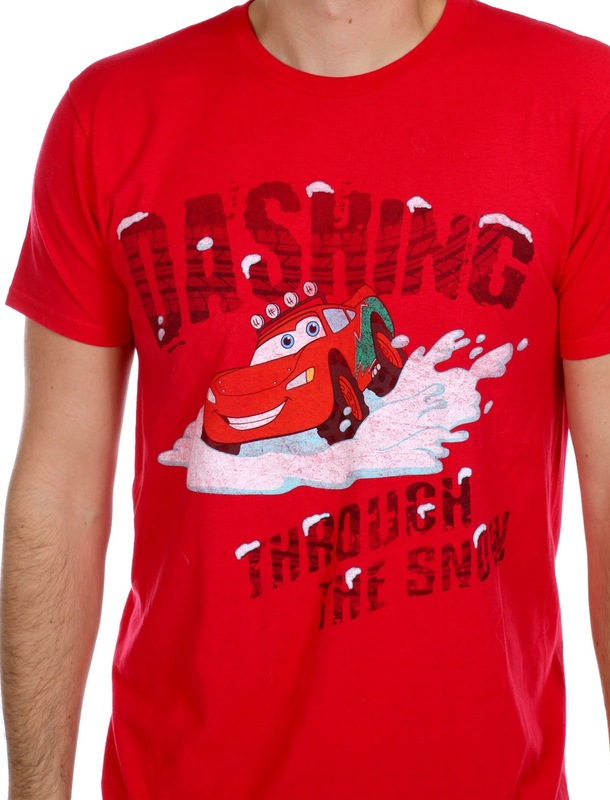 Here we have the Disney Parks exclusive Cars "Dashing Through the Snow" men's holiday tee featuring Lightning Mcqueen! Back in August (during our CA trip to the D23 Expo), our good friends Adrianne and Kristin offered to bring us over to the Company D-Team Center outlet store after the convention was over. This store is for cast members only, but for outsiders (like me at the time) you are allowed to go in with a cast member present. 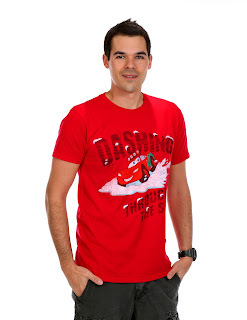 Everything in there is on sale for up to 75% off, which mostly consists of older Disney Parks merch that never sold. This tee was one of the items I purchased while I was there. My wife Brita found this shirt laying around and said "hey, this would be cute for our Disney Cruise!" I agreed. It's honestly not one I would have been interested in for full price, but for $4? Why not! Since we're going at the end of this month, the cruise ship will be totally decked out for the holiday season. I figured this would be festive. I don't actually know much about this shirt, but I did some digging and found out some info. It appears this was available last winter at Disneyland and Disney World as part of the Mcqueen "Dashing Through the Snow" line (which included other items such as an iphone case and limited edition pin). There are a couple on eBay, so visit this direct link to see if they have your size! If you happen to know anything else about this tee, be sure to shoot me an email or leave a comment. Thanks so much for dropping by!